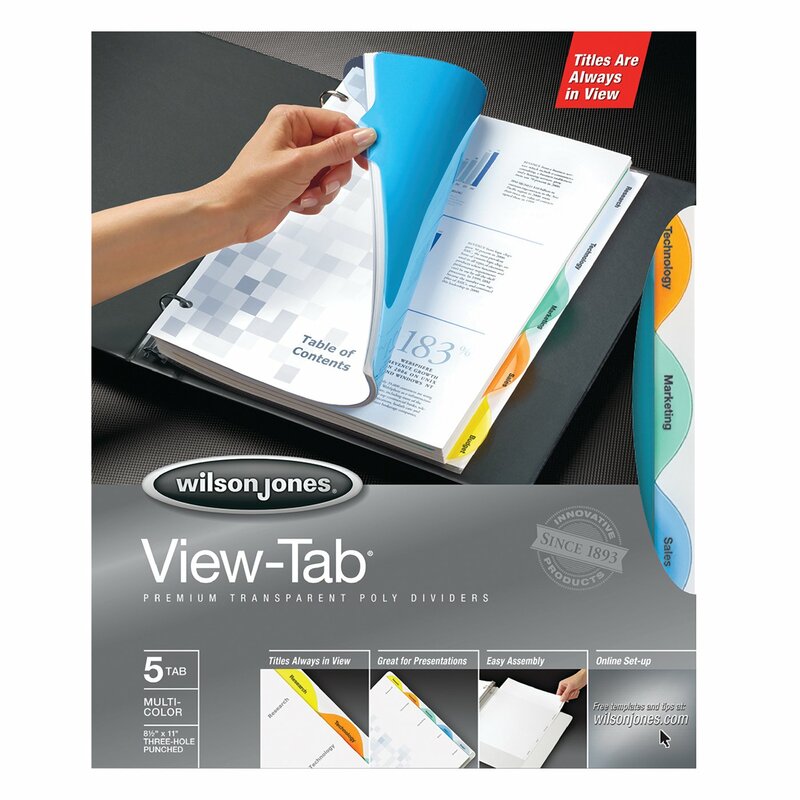 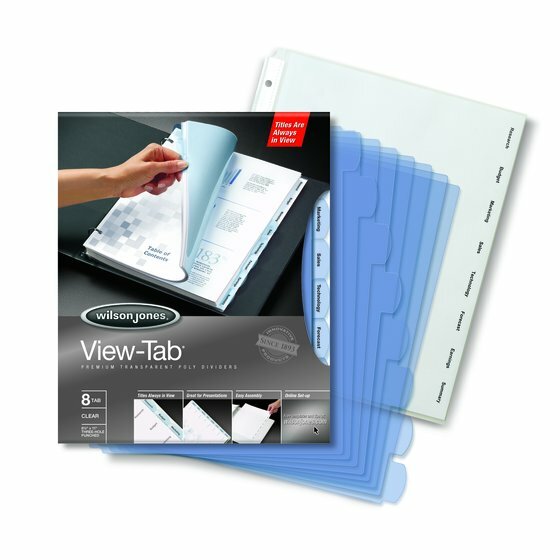 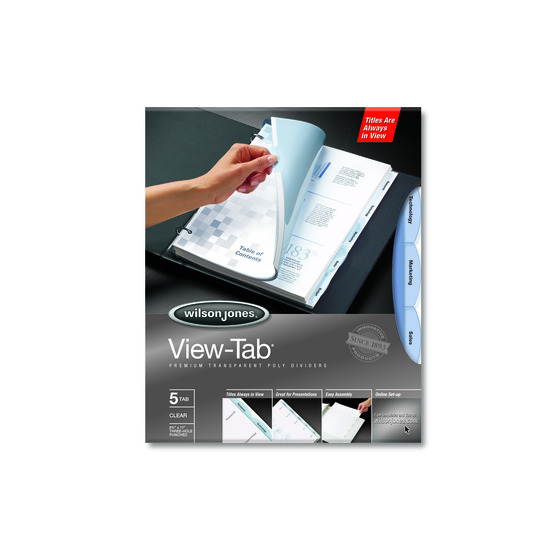 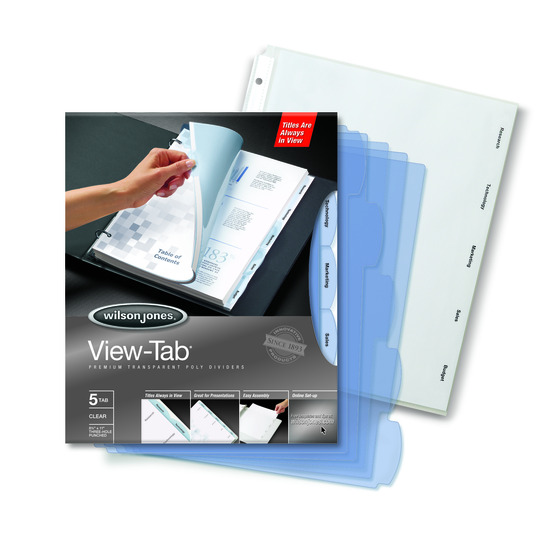 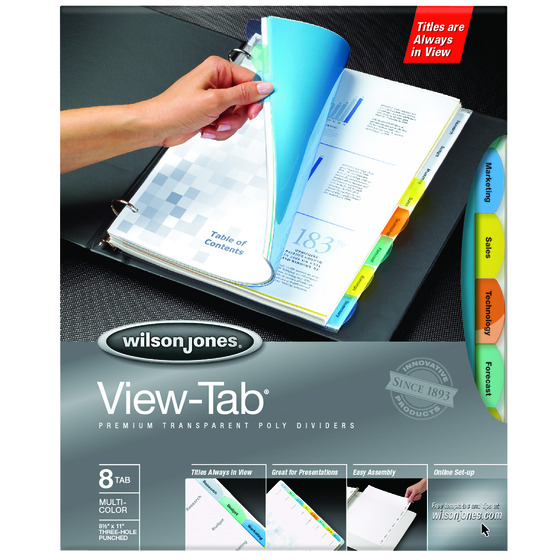 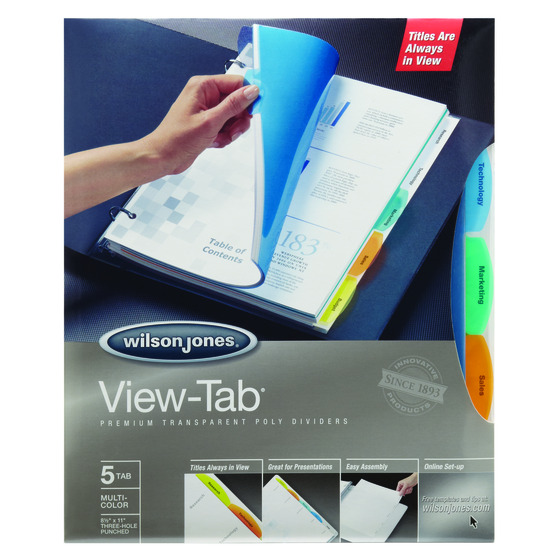 View-Tab® is an innovative kind of tab divider that makes organizing your sheets in a binder quick and easy. 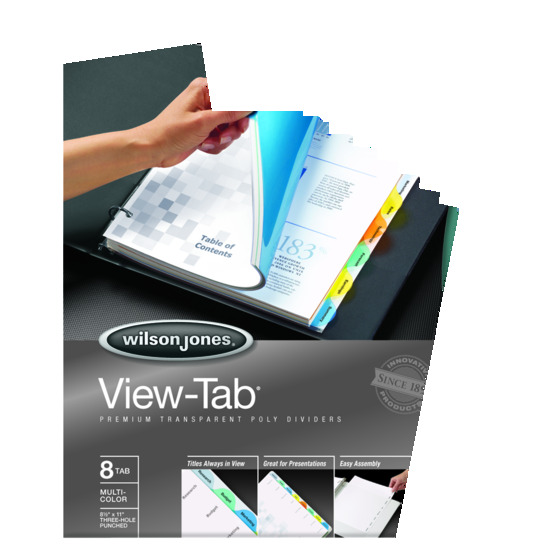 Print all your tab titles on one sheet, insert the sheet in the back of your presentation binder, and all the titles will show through the transparent tabs. 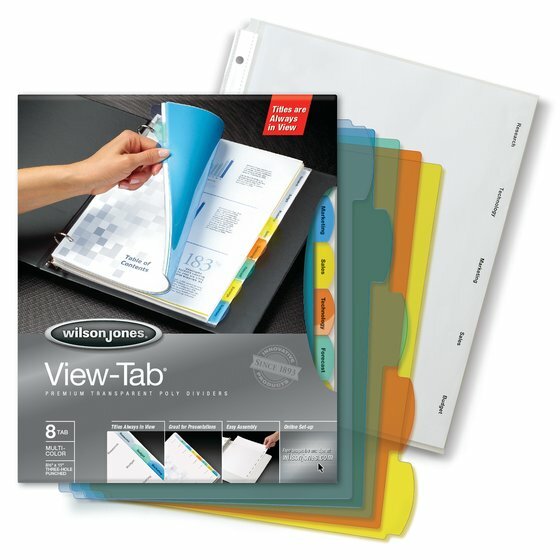 No more inserting tab titles one at a time!